The Bishop, the Right Reverend Dr Paul Colton, is pleased to announce his appointment of the Reverend Stella Jones, Incumbent of Kinneigh Union (Ballineen and Enniskean, Co. Cork) as the new Rural Dean for the Rural Deanery of Mid West Cork. 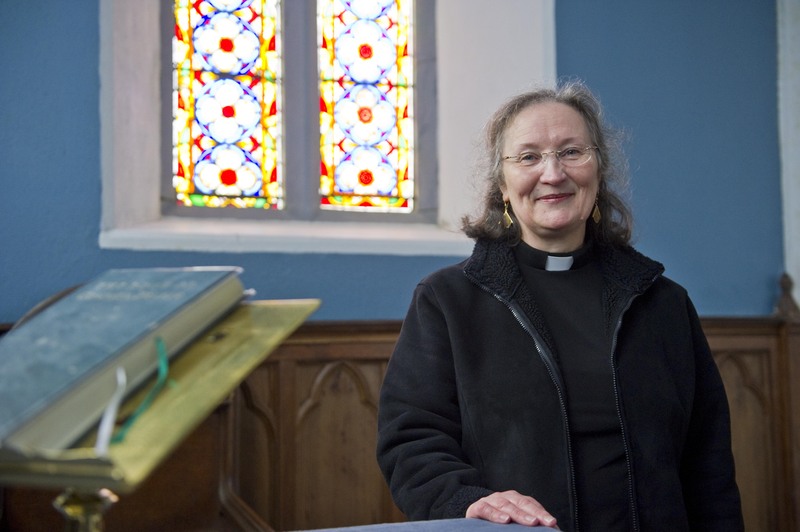 The Reverend Stella Jones, new Rural Dean of Mid West Cork. Rural Deans are clergypersons appointed by the Bishop to serve as officers of the Bishop. It is their role to supervise the care of Church property in the rural deanery and to perform other duties that may be assigned to them by the Bishop. The United Dioceses of Cork, Cloyne and Ross is sub-divided into four Rural Deanery areas: North East Cork, Cork City, Mid West Cork and West Cork. This entry was posted in Appointments, Clergy. Bookmark the permalink.